“I have little doubt but that the Alamo has fallen.” — General Sam Houston, Gonzales, March 11, 1836. We live in an age when news stories unfold on our televisions as they occur. Reporters on the scene describe what they see happening, as it happens. News crews rush to interview distraught survivors even before these people have had a chance to collect their thoughts. Footage captured by bystanders on their cell phones is quickly uploaded to social media platforms. The public receives news almost instantly. It has not always been this way, though. People used to have to wait hours, days, weeks, or even months to learn about events after they occurred. Stories often changed as additional information arrived. News gathering in the past was less immediate and much slower. The story of the Alamo conformed to this old pattern of gathering and disseminating news. The newly elected officials of the Republic of Texas left Washington on March 17, 1836 and headed up river to Groce’s Plantation where Houston had established his camp. [xi] On March 20, 1836, Gray, who was still traveling with government, recorded in his journal that Travis’ slave, Joe, had arrived and had been interviewed by the cabinet. According to Gray, Joe “related the affair with much modesty, apparent candor, and remarkably distinctly for one of his class. The following is, as near as I can recollect, the substance of it.” The main details of Joe’s account told to the Cabinet can be summed up as follows: (1) Joe and Travis were in their shared quarters when the dawn attack began; (2) as master and slave raced together to the north wall, Travis shouted, “Come on boys, the Mexicans are upon us, and we’ll give them Hell”; (3) after the two exchanged several shots over the wall, a musket ball struck Travis in the forehead; (4) although mortally wounded, Travis killed General Mora with his sword before dying; (5) with Travis dead, Joe retreated to his quarters; (6) only one man — Warner — asked for quarter; (7) Bowie fired from his sick bed before being killed; (8) Crockett and his companions were found surrounded by twenty-four dead Mexican soldiers; (9) as the fighting died down, Mexican officers collected the women and slaves who were inside the Alamo; (10) after the battle Santa Anna entered the fort and vigorously addressed his soldiers like a “Methodist preacher”; (11) Joe and the other survivors were taken into town and then released; (12) and the bodies of the Texans were burned later that day. Gray also included a list the men believed killed at the Alamo at the end of Joe’s account. [xii] Four days later on March 24, the editors of the Telegraph and Texas Register published an article clearly based on Joe’s account as recorded by Gray entitled “More Particulars of the Fall of the Alamo.”[xiii] The publication of this account was significant because since 1836 Joe’s story has served as the basic narrative of the battle. Without national news gathering organizations, newspaper editors relied on information gleaned from other publications in a journalistic version of the popular parlor game “gossip.” In this fashion, news of the Alamo’s fall reached the American public. An example of this type of exchange is an article which appeared in the New York Sun on April 12, 1836. Its editors had received the March 28 issue of the Commercial Bee from New Orleans. Based on the content of the Bee, the Sun’s article repeated details about the battle that had previously been noted by Houston, Goodrich, and Joe through Gray. By now, editors had dismissed the notion that Travis had killed himself, although they contended that Cos had mangled Travis’ face with his sword when he was shown the Texian commander’s body. As for the Alamo’s other notables, it reported “Cols. James Bowie and David Crockett are among the slain — the first was murdered in his bed, to which he had been confined by illness — the latter fell, fighting like a tiger.” However, just a few sentences later after declaring the Crockett died fighting like a tiger, the Sun’s provided contradictory evidence regarding his death. “The Mexicans fought desperately until daylight, when seven only of the garrison were found alive. We regret to say that Col. David Crockett and his companion Mr. Benton, also the gallant Col. Benham of South Carolina, were of the number who cried for quarter, but were told there was no mercy for them. They then continued fighting until the whole were butchered.” The New York Sun was not the only newspaper making that claim. Across the county, Little Rock’s Arkansas Gazette published a similar account on the same day. [xiv] Soon readers in the country were presented two versions of Crockett’s death from which to choose: Crockett died “fighting like a tiger” or Crockett survived the battle only to be murdered by the express order of Santa Anna. Details about the battle continued to emerge over the years, but these early letters and news accounts formed the basis for what would become the traditional story of the Battle of the Alamo. The general accounts of the battle that appeared during the 1830s and 1840s relied heavily on information that emerged in the days and weeks after March 6, 1836. Not until 1860, with the publication of Ruben M. Potter’s Fall of the Alamo, was the public presented a detailed analysis of the battle. Renewed interest in the battle after the Civil War sent a new wave of reporters looking for survivors to add their tales to the story, an effort that brought both clarification and controversy. That interest continues with the search for answers to what happened at the Alamo still going on today. [i] John H. Jenkins, ed., “Antonio López de Santa Anna to José María Tornel, March 6, 1836,” Papers of the Texas Revolution (10 vols. ; Austin: Presidial Press, 1973), 5:11–512. [ii] Todd Hansen, ed., “Robert McAlpin Williamson, letter, March 1, 1836,” The Alamo Reader (Mechanicsburg, PA: Stakepole Books, 2003), 601; Jenkins, ed., PTR 4:485. 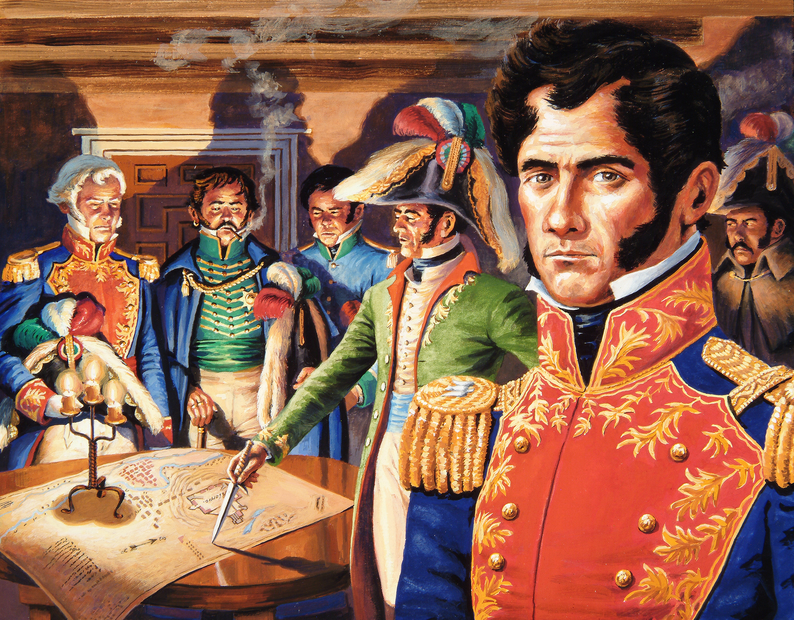 The PTR version of Santa Anna’s report omits the mention of captured letters and documents, but a transcription of a letter March 1, 1836, from Williamson to Travis appeared in El Nacional, Suplemento al Numero 79. Jenkins mentioned the letter’s existence but did not provide a copy of it. [iii] Jenkins, ed., “Antonio López de Santa Anna to José María Tornel, March 6, 1836,” PTR, 5:512. [iv] Jenkins, ed., PTR: “Barsena et al Deposition, Gonzales, March 11, 1836,” 5:45–46; E. N. Gray to Unknow Recipient, Gonzales, March 11, 1836,” 5;48–49; “Sam Houston to Convention, March 11, 1836,” [report not included], 5:51; Sam Houston to James W. Fannin, Gonzales, March 11, 1836,” 52–53; Sam Houston to James W. Fannin, Gonzales, March 11, 1836,” 5:53–54. Houston’s letter to the Convention appears not to exist. Jenkin’s cited as his source William F. Gray’s mention of several letters from Houston that arrived at Washington on March 15, 1836, which apparently referred to the receipt of copies of Houston’s letters to Fannin and Collinsworth. [v] Jenkins, ed., PTR, “Sam Houston to Phillip Dimmit, Head Quarters (Gonzales), March 12, 1836,” 5:57–58. [vi] Jenkins, ed., PTR, “Sam Houston to James Collinsworth, Headquarters, Gonzales, March 13, 1836,” 5:69–71; “Sam Houston to Henry Raguet, Gonzales, March 13, 1836, 5:72. [viii] William F. Gray, From Virginia to Texas: Dairy of Col. Wm. F. Gray, (Houston: Gray, Dillaye & Co., Printers, 1909; Houston: Fletcher Young Publishing Cp., 1965), 131. “Mr. Ainsworth” was apparently A. C. Ainsworth, who served as purchasing agent for the Republic of Texas in New Orleans. [x] Jenkins, ed., PTR, “Houston Army Orders,” Camp on La Baca, March 14, 1836, 5:77–78; “Gay et al to Public,” San Felipe, March 16, 1836, 5:90. Jenkin’s only mentions Gay’s address but the full text can be found in Streeter, Texas Broadside, #134. [xii] Gray, Diary of Col. Wm. F. Gray, 136–141. [xiii] “More Particulars of the Fall of the Alamo,” Telegraph & Texas Register. Thursday, March 24, 1836. [xv] Hansen, ed., “Texas,” Commonwealth, Frankfort, Kentucky, July 27, 1866,” The Alamo Reader, 563–564. [xvi] Hansen, ed., “George M. Dolson Letter, July 19, 1836,” The Alamo Reader, 608–610. [xvii] For a full discussion the executions at the Alamo, see Richard Bruce Winders, “This is a Cruel Truth, But I Cannot Omit It: The Origins and Effect of Mexico’s No Quarter Policy in the Texas Revolution,” Southwest Historical Quarterly, Vol. 120 №4 (April 2017), 413–439. [xviii] Jenkins, ed., PTR, “Santa Anna to the Texans,” Velasco, June 1, 1836, 6:487; “Menucan Hunt to President and Cabinet,” Velasco, June 3, 1836, 6:512 “Santa Anna to Burnet,” Velasco, June 3, 1836, 7:20; “Thomas Rusk to Mirabeau B. Lamar,” La Bahía, June 3, 1836, 7:23–24. A careful reading of both the June 9, 1836 Commonwealth article and Dolson’s July 19, 1836 letter reveals that the author’s motive was to prove that Santa Anna was “a cold-blo0ded murderer, and worthy only of the sympathy of cowards and the scorn of great men.” The execution scene as described contrasted Santa Anna’s brutality with Castrillon chivalry. Dolson’s accounts, which he said were based on the eyewitness report of Colonel Juan Almonte, bolstered the case for Santa Anna’s continued captivity — if not death — for his crimes. The main points conveyed in Dolson’s letters were that Crockett was “brave,” Castrillon was “noble,” and Santa Anna was a “monster.” A second Treaty of Velasco between officials of the Republic of Texas and Santa Anna allowed the defeated general to return to Mexico to secure his government’s acceptance of the first treaty. When word leaked out that Santa Anna was to be set free, anger and dismay grew. The two letters appeared shortly after Santa Anna had been removed from the Invincible docked at Velsaco by Texian volunteers. These men, who opposed Santa Anna’s return, took matters into their own hands and refused to allow the ship to sail, setting off a chain of events that delayed his return to Mexico until January 1837.